As seen on Good Morning America, NBC's America's Got Talent, USA Today, Fox News, The Morning Show and many more! Joseph goes through three decades of Elvis hits including some of Elvis' greatest Christmas songs! 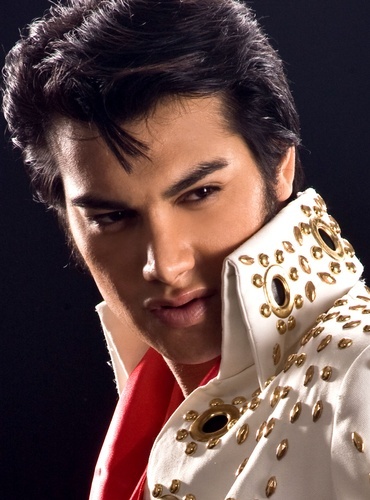 Recreating the moves, the looks and the sound of Elvis Presley, you'll think you are watching the King himself. A must for all ages to see. Elvis Presley recorded all types of music, rockabilly, rock n roll, pop, country and he also recorded Christmas music. Elvis's 4th album was his 1st Christmas album recorded in Hollywood during one of his movie shoots. He recorded many of the iconic Christmas songs of the era. It's been said that Christmas was Elvis's favorite time of the year, in fact that Elvis picked out all the Christmas decorations that were used at Graceland and they are still used to this day to decorate the mansion. Joseph has incorporated these songs into a beautiful Holiday set, with the stage decorated to that magical time of year to bring back the memories of that special time of year! Tickets can also be purchased at The Ohnward Fine Arts Center 563-652-9815 (from 9:00 am – 1:00 pm Monday - Friday), Osterhaus Pharmacy and the Maquoketa State Bank Main Office, Anderson Pharmacy in Preston and the Bellevue Pharmacy in Bellevue. Tickets are also available on line at www.ohnwardfineartscenter.com. Beer, Wine and concessions will be available!